Football Kenya Federation Eastern Zone has on Wednesday, February 28, 2018, rolled out a Physical Endurance Tests (PET) exercise for referees ahead of the incoming 2018 Division Two and lower tier leagues. The rollout was presided over by FKF Deputy President Doris Petra, as well as Nairobi County Branch Chairman Michael Majua and Abadares Branch Chairman Davies Chege, at FKF House, Goal Project. 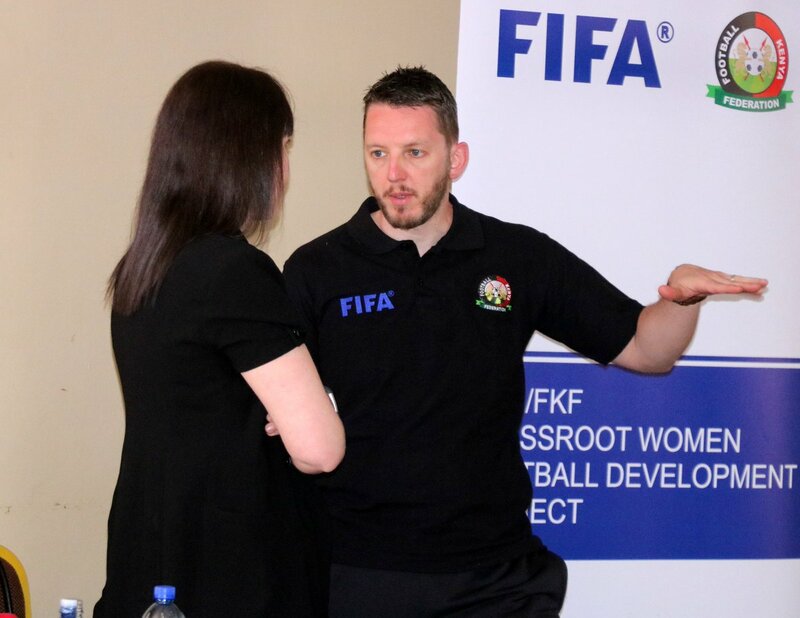 As disclosed by Referees Manager Sylvester Kirwa, the PET will see the referees taken through theory sessions in class, as well as group discussions and fieldwork. Among the topics of discussion shall be referees positioning, the handball rule, tactical fouls, penalty area incidents, the offside rule, and match reporting, among others. “FIFA and CAF, through FKF, intends to undertake the PET’s quarterly so as to regularly take our referees through modifications to the laws of the game,” said Mr. Kirwa. “We are aiming at integrating technique and practice during this PET so as to produce referees who are not only physically fit but are also up to speed with the laws of the game,” he added. FKF Deputy President Doris Petra, meanwhile, reiterated the Federation’s commitment towards the improvement of the levels of officiating in the country. “As a federation, we remain committed to progressively improving the level of officiating in the country as it forms an integral part of the game,” she said.